The National Campaign Against Fees and Cuts (the people behind the recent student demonstrations) have called two fresh days of action for late January 2011. The first will be on the 26th and will see student walkouts and protests take place across the UK. On the 29th demonstrations will be held in London and Manchester. This will be the first of their protests to be held on a Saturday and they are encouraging workers to join them on the streets. Trade unions Unite and the GMB have given their support to the demonstration. "We oppose all cuts and we stand in solidarity with public sector workers, and all poor, disabled, elderly and working people. We are occupying the roof in opposition to the marketisation of education pushed through by the coalition government, and the system they are pushing through of helping the rich and attacking the poor. We call for direct action to oppose these cuts. This is only the beginning of the resistance to the destruction of our education system and public services." National Walkout – Save EMA! 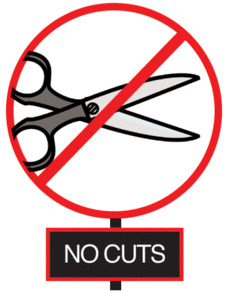 Stop All Cuts! Free Education! National Demonstration – No Fees, No Cuts! Defend Education and the Public Sector!